View this article on Linkedin. Many real estate investing beginners see the flashy ads for real estate guru programs and are tempted. These programs usually entail a free or low cost seminar on house flipping, for example, which really is just an up sell for the next part of the program — the $20,544 program where they will teach you ALL of the secrets to become a wealthy real estate flipper or investor. You should be very cautious about buying into one of these guru programs. Very frequently, such seminars are nothing other than a sales pitch to sell you more seminars, coaching and media. I’m sure that you can learn some useful things at some of these guru programs, but they carry very expensive price tags for a lot of things you can learn for free or nearly free. And here’s what the gurus won’t tell you – Spending $20,544 on a real estate investing seminar isn’t going to come close to assuring you’re going to make money in real estate. You’ll make the GURU plenty of money, that is for certain. But will you? Questionable. 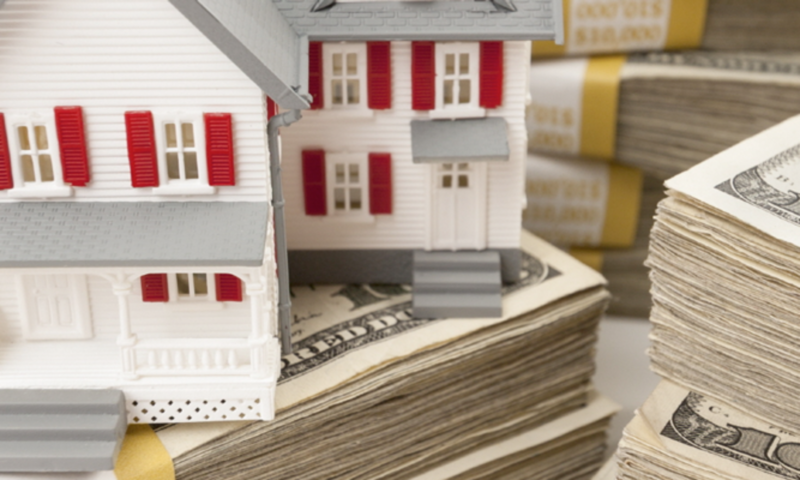 You could even end up in one of these 4 real estate investing train wrecks. Becoming a successful investor takes a LOT of work. Let me say that again: Becoming a successful investor takes a LOT of work. Most people who want to be real estate investors never do a deal, including many of the people who pay $20,544 to gurus. A big part of being a successful investor involves developing a good reputation in your local market – that’s years of work. Being a successful investor comes from building a large network of real estate professionals – rehabbers, title companies, attorneys, closers, agents, fellow investors, and on and on. Most successful real estate investors are experts in their niche of real estate in their local market. They are local market EXPERTS. That can’t be learned in a 10 day real estate class. Here’s a good example: My real estate mentor and partner has been a successful investor for 15 years in affordable, owner financed homes. In that time, he has developed a very profitable real estate career through much hard work and dedication. He actually financially retired at 28 with $25,000 a month in cash flow. John is an expert in our city’s residential real estate market for affordable homes. He knows exactly what houses in his market are worth day to day, down to the individual street. He will never pay a dime more than he has to. That ensures he makes a good profit, and that the end buyer (owner financed) gets a good deal. He also has a stellar reputation in the city; people know who he is in residential real estate investing. When it comes down to buying a property, he does it with cash in 10 days. And he sticks to his word. That’s pretty rare in real estate, and that’s why the real ‘deals’ often find him – deals you don’t pick up at the auctions with hordes of new investors fresh out of their $20,544 real estate class. People know John is a serious investor. The developing of that stellar reputation took years. That’s not something you get from putting $20,544 on a credit card for a real estate guru class. So How to Become a Successful Investor? Don’t go it alone – Many starting investors try to find their own deals, do their own rehabs and so on. That is a nearly certain path to failure. Ask any successful investor friend where they learned their business. They probably can connect you to someone who can show you the ropes, and hopefully for a low cost. If you want to work with an experienced investor, bring something to the table. What can YOU do for the investor? Maybe you can help her find investors or do some leg work on finding new deals. Figure out your niche – This is important: There are 10001 directions you can go in in real estate. Choose a niche and STICK TO IT. If you focus on too many things, you lose focus. For example, I only focus on affordable, single family homes in San Antonio from $40-75k, usually with owner financing. My focus is long term buy and hold cash flow with these houses. That’s it. Get a (free) mentor – Not every ‘guru’ charges big bucks. You can have a mentor who charges you nothing, as mine does. Another benefit of having a free mentor – he or she may be able to help you find the good deals, ones that are hard for rookies to find. I have been able to purchase several excellent deals through my mentor that I never would have gotten on my own. As you look for a mentor, look for someone who has done several hundred deals and has been successful through real estate downturns. Those are the guys to work with. So, you certainly can become successful in real estate without paying $20,544 to a real estate guru! And one last thing – real estate gurus selling classes and books are good at marketing more than anything. Nothing wrong with that. But if you want to really learn real estate investing, shouldn’t you work with an active and successful real estate investor?